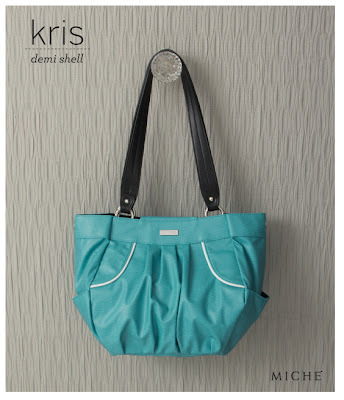 You just can’t help but smile when you slip the Kris Shell on your Demi Bag! Happy-go-lucky turquoise faux leather with jaunty white trim helps the sun shine in your heart on even the cloudiest days. Kris is perfect for a day in the park or for taking along on a weekend getaway.